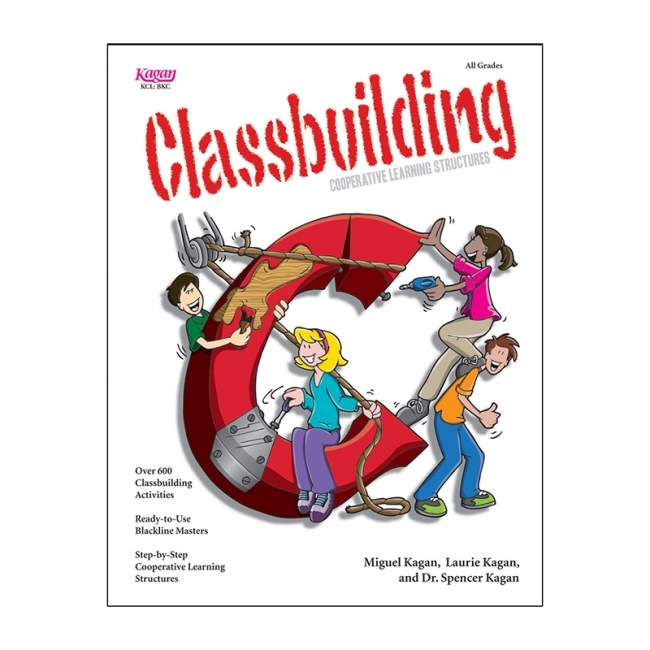 Give your students the tools for success to enter the work force as employees or entrepreneurs. We include practical real-life activities, role-playing scenarios and open-ended strategies. 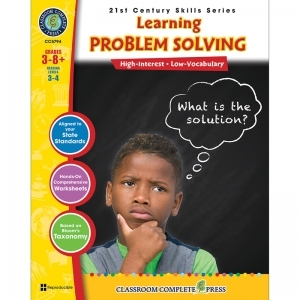 Your students will understand the problem solving process, and take part in group creative art projects while gaining the required critical thinking and creativity skills. Develop your students' abilities through dedication and hard work with motivation, productivity, achievement and success. Learn how to comprehend and analyze information while integrating technology and media to expand their growth mindset. All centered on several project-based exercises to learn how to convert information into usable intelligence. Chocked full of standalone reproducible worksheets to give young learners of today all the tools they need to become lifelong problem solvers. Adaptability and flexibility are essential skills required by all in this global economy. Our real-life project-based exercises and learning strategies will give your students the confidence to stand out from the crowd while utilizing essential dynamic traits. Practice creativity through role-playing scenarios and truly understand that failure is a learning opportunity. All content is presented in a way that fosters a culture of iteration and innovation with an emphasis on the willingness to change and improve. Students will better understand these concepts with the help of technology and media. Get tips and tricks on how you can ask great questions and challenge the rules. Chocked full of standalone reproducible worksheets to give young learners of today all the tools they need to become agile and flexible within the workplace. Themed sets of Photographic Learning Cards are a great classroom value for speech and language, special education, ESL and ELL programs, Title I programs, Head Start, resource rooms, early childhood, and elementary classrooms. The Classroom Set includes Nouns, Verbs and Adjectives Learning Cards (288 cards), Early Learning Skills Learning Cards (240 cards), and People and Emotions Learning Cards (90 cards). The Early Learning Skills set includes 227 photo cards and 18 resource cards (4.5" x 5.5" each): Rhyming Pairs, Things That Go Together, Sorting and Classifying, Transportation, and Favorite Animals. 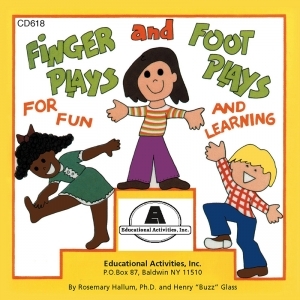 These charming fingerplays and footplays are fun to do and involve children happily in learning. A combination of traditional and new, all are done in a bright, up-to-date style with original music. Valuable for fine motor coordination, memory training and oral language development. Directions are on the recording, so the plays are easy to learn. Excellent for class control. Helpful for ELL. 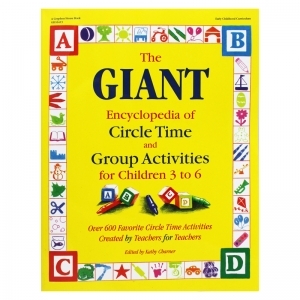 Open to any page in this book and you will find an activity for circle or group time written by an experienced teacher. 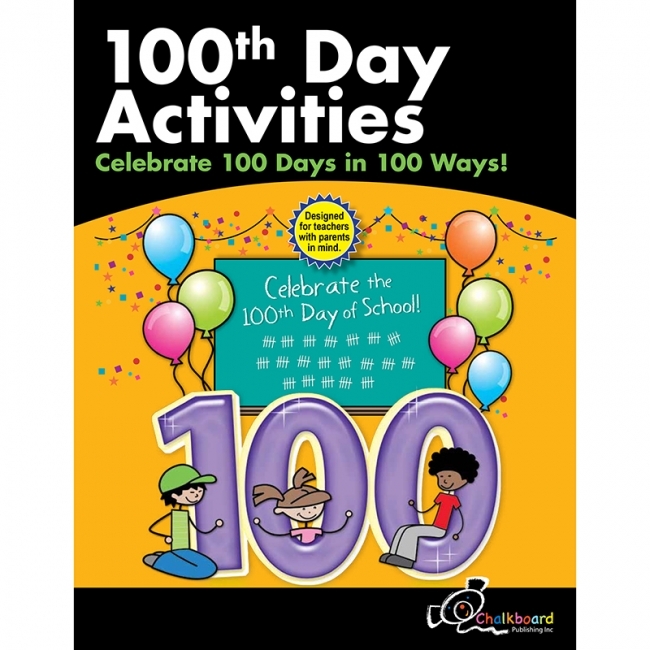 Filled with over 600 activities covering 48 themes, this book is jam-packed with ideas that were tested by teachers in the classroom. These are ideas that work, and there are enough to keep children learning and happy for days, weeks and months. 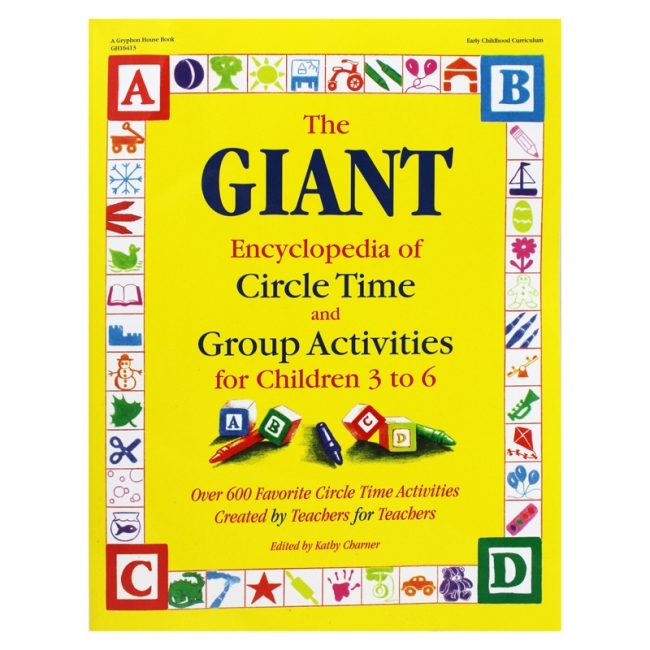 Many activities include suggestions for extending the circle time or group activity into other areas of the curriculum such as math, science, snack, language, or field trips. Books and songs related to the activity as well as original songs and poems are included. When students have the desire and ability to work together as a team, something magical happens—Together Everyone Achieves More! Students like working together, academic achievement goes up, and discipline problems become a thing of the past. 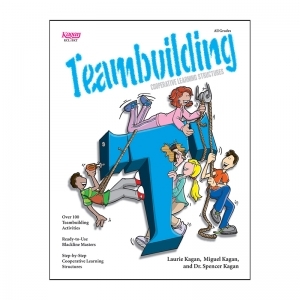 Includes step-by-step instructions, hints, variations, over 100 teambuilding activities, and ready-to-use blackline masters for each of 14 favorite teambuilding structures like: Find-the-Fib, Team Interview, and Same-Different. Promote a positive class and team atmosphere in your classroom and watch as your students work together in harmony. Respect! Responsibility! Integrity! Honesty! How do you develop these valued character traits? 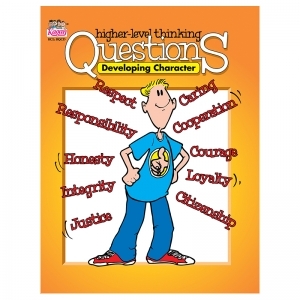 In this book of questions, you will find hundreds of questions, quotations, and dilemmas to explore and develop character. Use quotations by famous folks as a springboard for writing and discussing, such as the following by Anne Frank: "The final forming of a person's character lies in their own hands. Why is your character ultimately your own responsibility?" Use dilemmas to have students evaluate their own values and behaviors: "If someone doesn't treat you with the respect you deserve, would you treat them with the respect they don't deserve? Why or why not?" And have students examine their own traits and those of others with provocative questions such as: "Are there ever situations where it is best to say something you don't believe?" Questions are provided in convenient reproducible question card format, perfect for the engaging cooperative questioning activities provided. Stretch your students' interpersonal and intrapersonal intelligences with these ready-to-use questions and activities. This book is brimming with questions on topics such as: All About Me, All About School, Esteem Building, Emotional Intelligence, Lying, Manners, Multiple Intelligences, My Favorites, Sticky Situations and more! 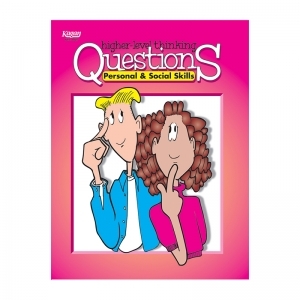 Questions are designed to promote higher-level thinking and interaction on a range of personal and social skills issues: "If you could be anyone else for a day, who would you be? Why? Who is your favorite musical group? If you were going to write a magazine article about the band, what would you say? Attitudes are contagious. Do your friends drag you down or bring you up?" Questions are provided in convenient reproducible question card format, perfect for a variety of engaging cooperative discussions formats provided and journal writing. 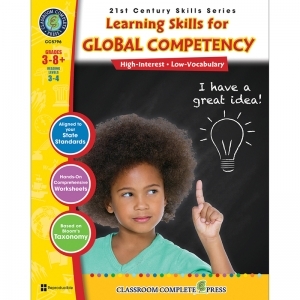 Boost your students' EQ with these provocative questions and activities. 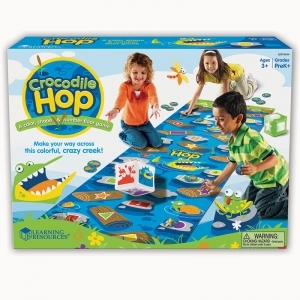 Engages even reluctant learners with colorful, versatile super-size floor mat design. Reinforces a range of early learning skills: color and shape recognition, numbers and counting (1-10), problem solving and gross motor. 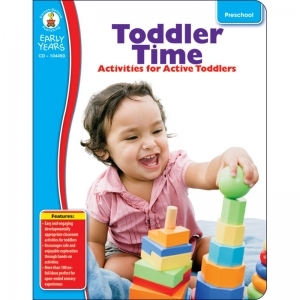 Helps children practice following simple directions. 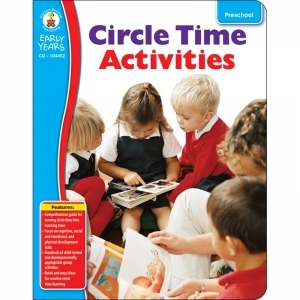 Offers opportunities for children to play alone, in small groups or with the whole class. Supports NCTM Standards. 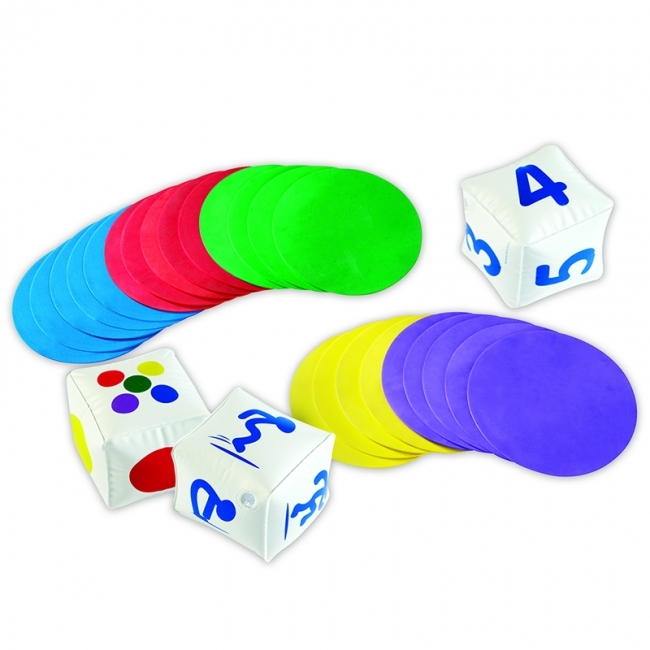 Includes 2 inflatable cubes (5"), 40 animal game markers, Activity Guide and vinyl floor mat measuring 100"L x 30"H.